My brother ended up going from the hospital straight to Agrace HospiceCare. They were fantastic. They gave him his medicines, did things to make sure that he was comfortable and not suffering any pain, they repositioned him quite often, and they eased any discomfort he might have been having. They were very loving, very caring, and bringing food at special times while he could still eat. They're always asking if there's any way they could help us or how we were doing. My niece was very satisfied also with everything. I have given Agrace the lowest possible rating. Agrace did not provide the end-of-life services they claim to provide. My loved one desperately needed those services. Upon completion of their evaluation Agrace stated that my loved one was in extreme pain and suffering. Instead of putting my loved one under their care and despite having a previous in-home care relationship, Agrace offered every bureaucratic excuse they could think of not to provide out-patient care, or inpatient care at Agrace. In contrast to their stated goals to provide a “circle of care” for end of life patients, my loved one suffered and died in pain and without their assistance. I took my wife there in November, 2014 when she had just a few days to live. It's an amazig place with a mix of volunteers and professional staff that were all exceptional. I hwas allowed to sleep in a pull-out bed for five days until she died. They were wonderful with dispensing pain-killing medications. I was given the privacy of being close to her and yet friends could visit at almost any hour. The dignity and respect afforded my wife was tremendous. Comparing this place to a hospital would be ridiculous. They combined a luxury-resort size room with the most compassionate care possible. The even had the place next to a calming woods. Any doctor, nurse, or aide followed my wife's body out in a respectful procession when we left from the front door to take her to the funeral home., It was so comforting for me to have such a wonderful place to take her. God bless Agrace. We are fortunate to have such a place in the Madison area. We had used Agrace Hospice for my husband. They're very good. The staff was wonderful. They were caring and knowledgeable. The room that he was in was good and clean. It was also nice and big. There was nothing bad with their overall care. My mom went on a tour of Agrace Hospice. We chose it so grandpa would be close enough to us. I visit him every week. It's got outdoor facilities like a small fountain, you can sit outside, and they got different things that they can do. It's a very quiet facility. The people there are always friendly. One of the things I've been really impressed about is the number of volunteers that they have. Every day a volunteer would take grandpa for a walk or spend time with him. A pastor would also come in and talk to him, which has been really good because he doesn't have a lot of other family that could come in regularly. I also like that they have the spa bath, and I try to encourage him to do that because he really seems to enjoy it. He says the food is quite good. He just feels miserable because he can't walk, he's getting old, and he's not with his family. He doesn't want to be there and he'd rather be home. But I always feel that he's well taken care of. The staff seem genuinely concern and really caring about him. He's in good hands. They even let us reserved a little family room for some personal space to spend Thanksgiving with him. As a former nurse, I have never seen a more capable or kind team of health providers. They took superb care of my mother as she went on an 11 day fast to her death. I will forever be grateful to them! Hospice employees and volunteers were very kind, caring and helpful. They took excellent care of my fiance with patience and compassion. They also checked on myself and Jack's family members to see if there was anything they could do for us. We were offered someone to speak with and kept totally updated on what was happening with him. It is a beautiful, serene setting. I highly recommend it to anyone who is caring for someone with a terminal illness. Agrace Hospice Care is a hospice care provider serving Madison, Wisconsin and the surrounding area. Agrace Hospice Care offers care and emotional, social, and spiritual support for patients and their families in end-of-life scenarios. Contact the provider for more details on services and rates. 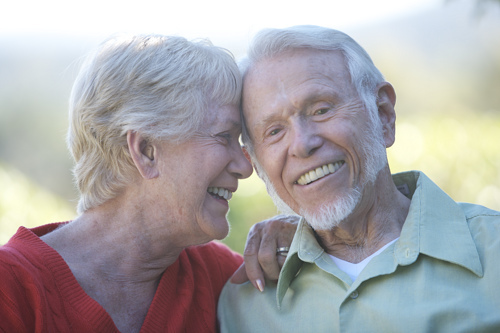 What should caregivers and potential clients know about Agrace Hospice Care?